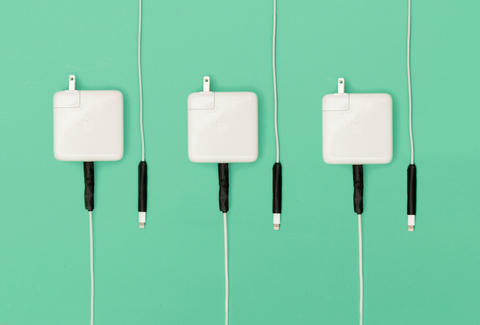 It's generally understood that Apple's charging cords are garbage. They shouldn't be, but they are -- due in no small part to the militant design-over-function philosophy that dominates the halls of Cupertino. But rather than shell out to replace your iPhone, iPad, or MacBook chargers when they make a permanent visit to fray city, save yourself some money by taking a few proactive steps. 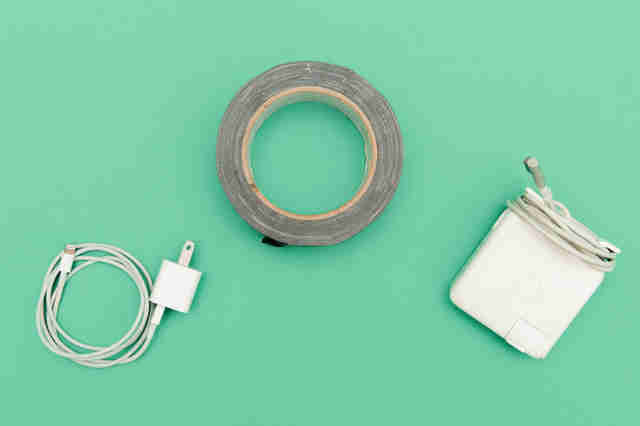 All you need is some electrical tape, gaffer's tape, or a pack of Sugru self-setting rubber. It's not the most handsome of hacks, but if it saves you $60, who cares? The trick is to recreate the strained relief-style cord reinforcement you find on most electronics, which Apple deliberately doesn't use in favor of a sleeker design. To do this, you can either neatly wrap the vulnerable, bendiest edges against the charging blocks with strips of tape, or mold the putty-like Sugru around the same areas and let it set overnight. Once it’s set, you’ll notice the ends of the cord are significantly more rigid and difficult to bend, thus protecting the stupidly thin white wire covering from repeated crimping. Of course, this means the chargers won’t stash in your bag as tidily as Apple may have intended them to, but we’ve been using ours like this for a while now and it hasn’t been an issue. Joe McGauley is a senior writer for Thrillist and refuses to replace an iPhone charger ever again.